I have been working in VBS for over 16 years and have been the Director for at least 7 or 8 years (I lose track after a while!) and have tried about every idea out there for having a successful VBS. 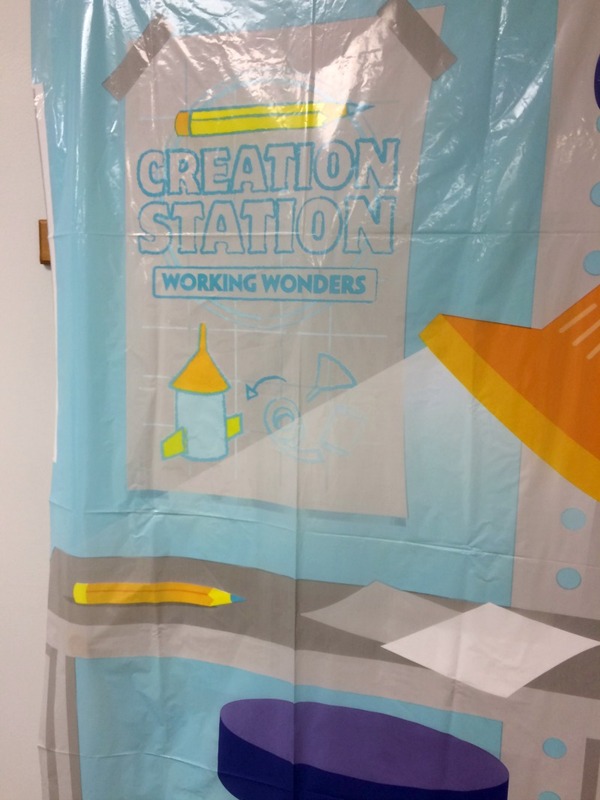 We have spent close to a thousand dollars on materials and decor, spent countless hours building huge set pieces, and tried all types of gimmicks to make VBS great for the kids. 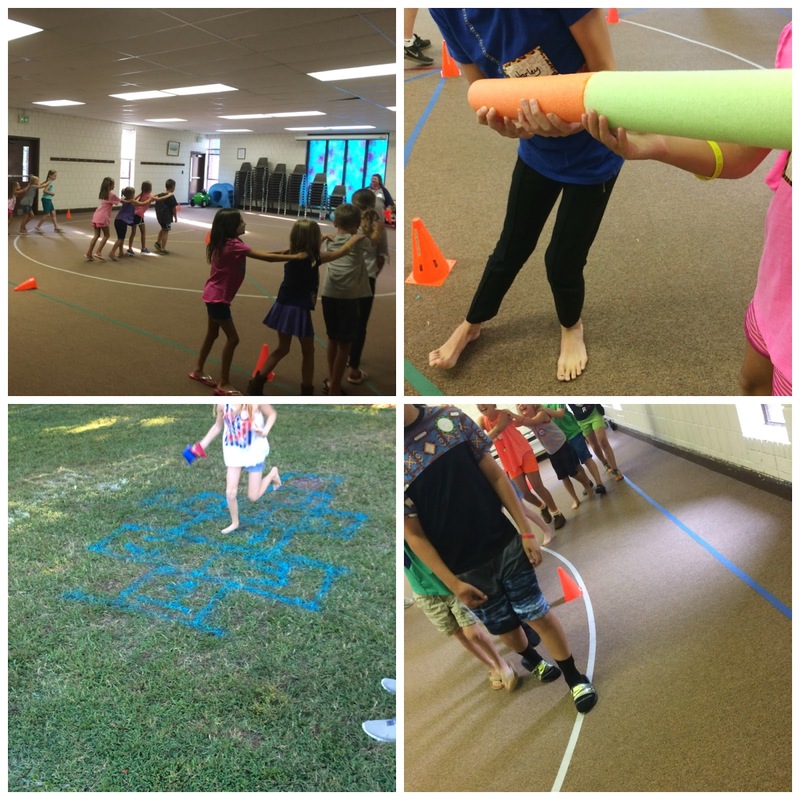 A few years ago, we decided to go back to the basics for VBS. 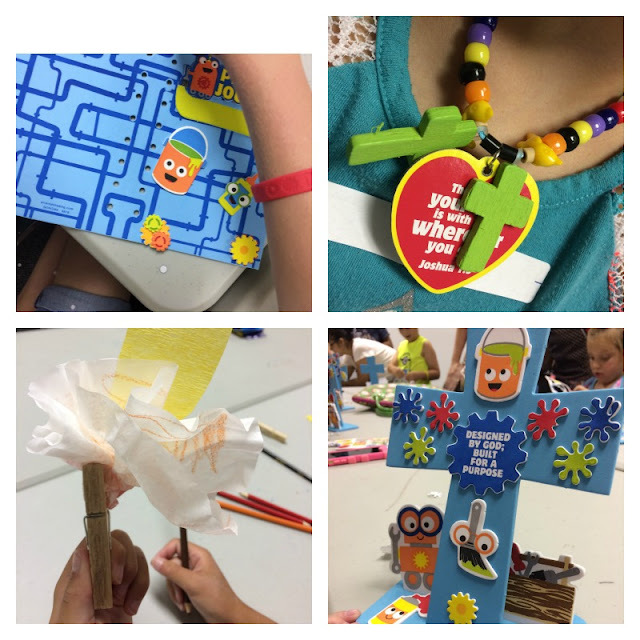 Our goal was to focus on the message to the kids and spend as little as possible on decor, games, and crafts. Let me tell you, it is so much less stressful and the kids enjoy the VBS experience just as much! Take this year for example; our theme was "Geared Up For God." 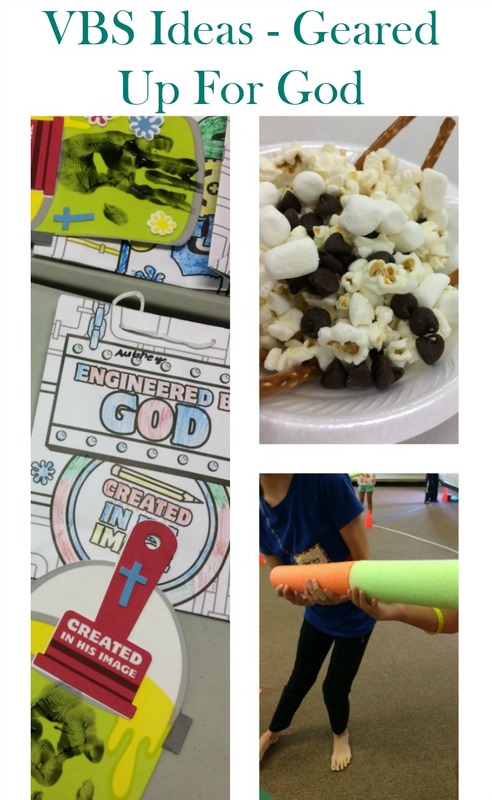 Here is how we pulled off VBS with just the basics. The small amount of decor I had was donated from another church in the area. I also purchased a "treasure box" that was full of goodies. I used these for incentives for bringing a friend, donating to our school supply mission project, and overall good behavior. 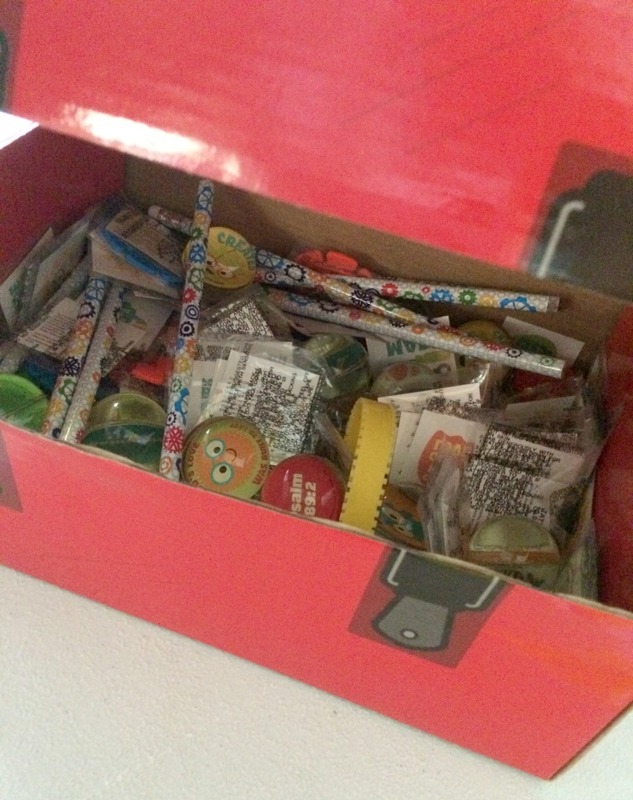 It had a mix of pencils, bouncy balls, temporary tattoos, rubber bracelets, and more! We used Oriental Trading crafts the entire week, except for the clothespin torch craft which I spent $1 on for the crepe paper, since I already had the clothespins on hand. 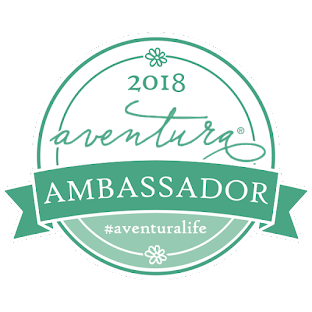 I received $75 worth of product as part of my Ambassador relationship and spent less than $100 for the remainder of the crafts needed for around 40 children. 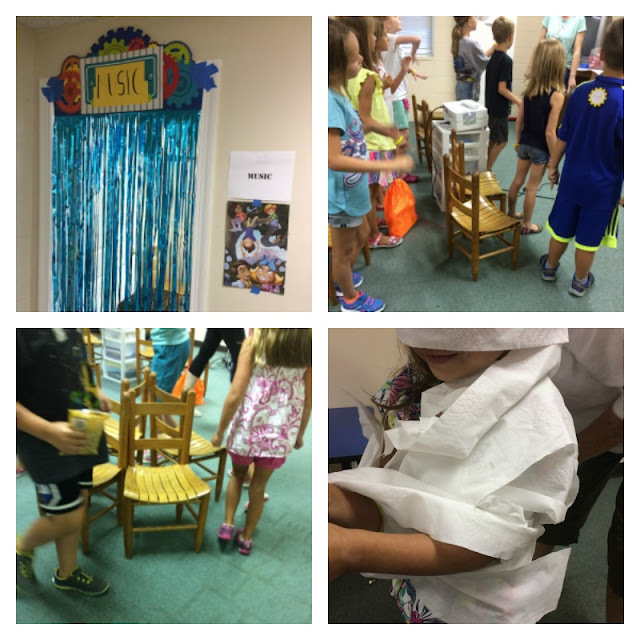 Our youth pastor and his wife are musically inclined so they decide on the songs and incorporate fun games into the mix like the classic musical chairs and the fun toilet paper mummy game. This year we were able to use the songs on the Family Christian CD that I received in the VBS kit. 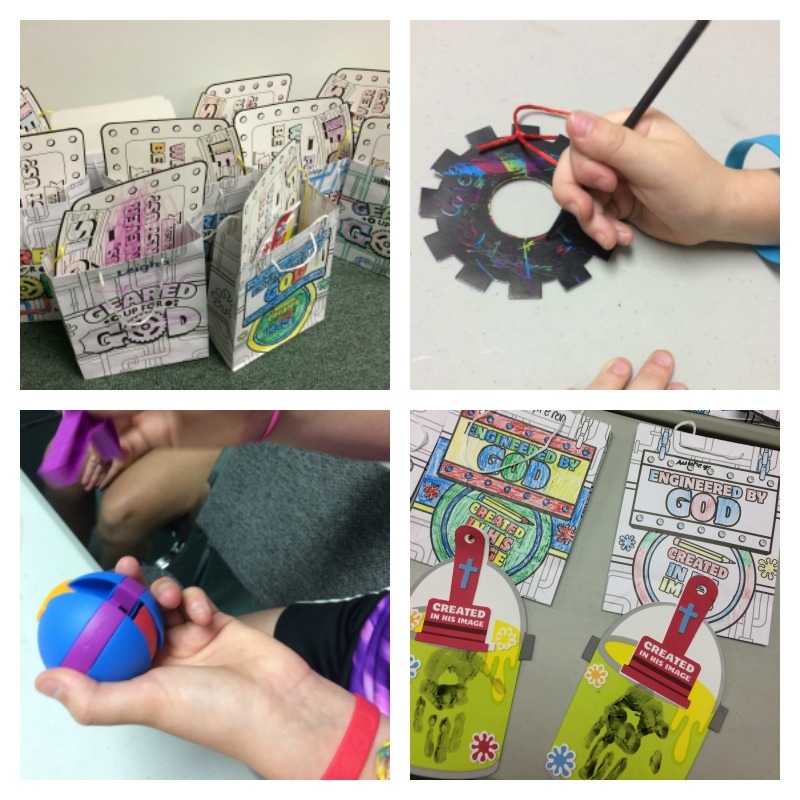 We come up with our own games and used items we already had on hand from the AWANA program. I spent less than $10 at the Dollar store to purchase crepe paper, poster board, and marbles for the games. I get most of our snacks through donations from church members who want to help, but cannot volunteer for the entire week. I was able to get almost everything I needed through donations and only spent about $15 to get the remaining items on my list. 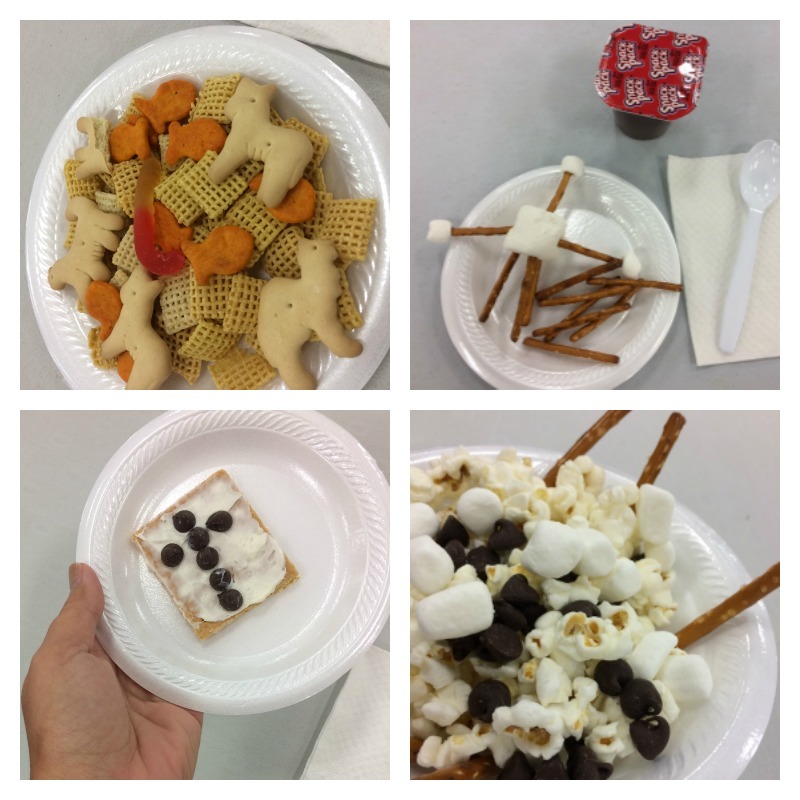 We had yummy treats like the "maker mix," "pretzel fort," and "s'more of God's love" graham crackers. We use skits and videos to keep the kids attention, which does not require much of a budget at all, just some creative thinking! Our stories were about God creating humans, Gideon, Rahab and the Spies, and Jesus' death and resurrection. What was your church's VBS theme this year? 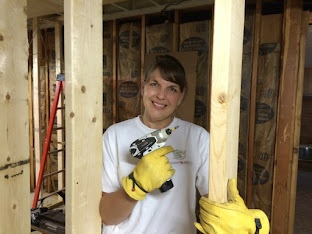 Earlier this year, I shared how we stick to a small budget with our crafts. 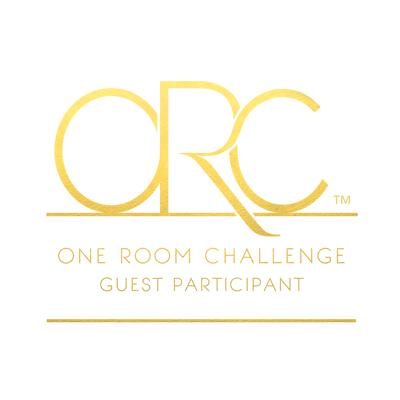 Head over and Pin It for next year! 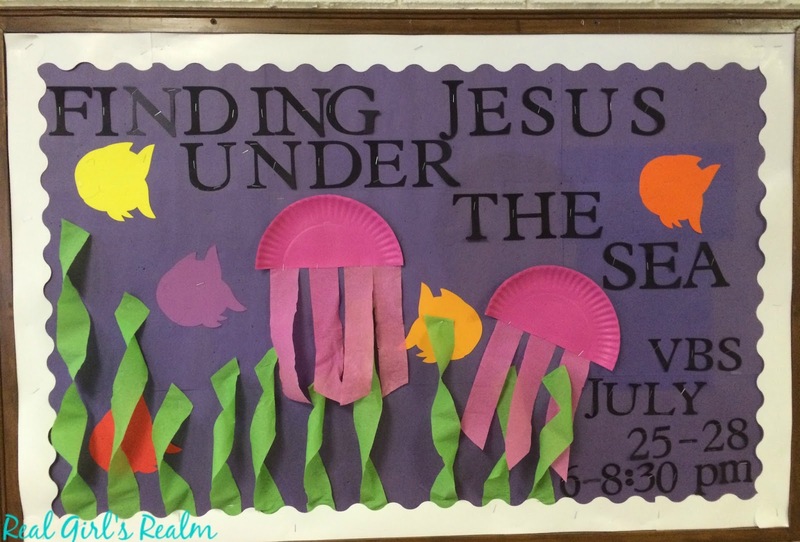 Check out our Under the Sea Themed VBS from last year! Disclosure: Some of the items in the post was provided to me as part of Oriental Trading's Ambassador program, but all thoughts are 100% my own. My church does VBS and I know how much work the director puts in to make it all work, as she's a mom in both my kids class. Kudos to you for doing this for 7 or 8 years! I am sure you save a lot using Oriental Trading, you just can't beat their prices and how they sell in bulk! I love all of those snacks. I think it's always great when you can save money! And, so true that the kids don't even notice. Thank you Carrie! I have used Oriental trading for years because they have the best stuff for a great price! Some super cute ideas. I am the VBS coordinator for our church, so I'm always looking for inexpensive ways to pull off a week's worth of fun. Thanks for the inspiration! I am so glad you got some ideas!